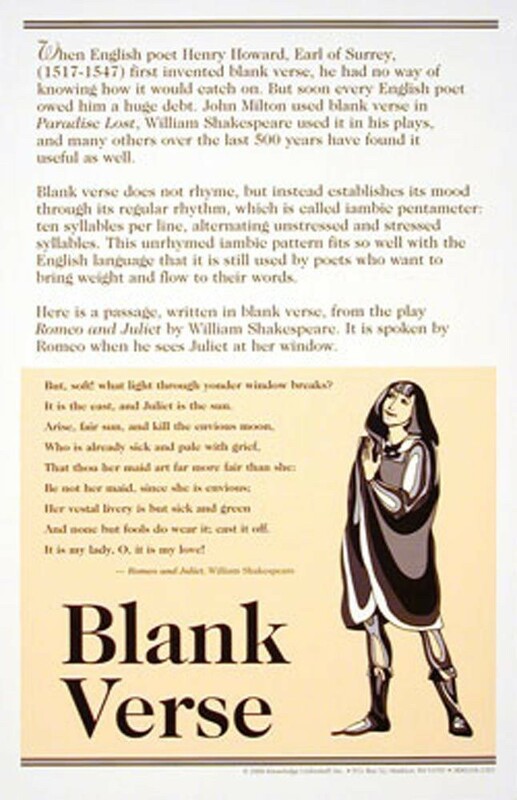 This language arts poster is one of a set of 12 posters that explain the different forms of poetry. 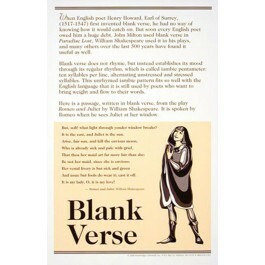 This poster explains what "blank verse" is and how it was invented by a 16th century English poet, Henry Howard, Earl of Surrey. It also features a familiar passage, written in blank verse, from Shakespeare's "Romeo and Juliet," beginning with the famous line "But soft! what light through yonder window breaks?"